Have you ever been in a situation involving a suicide? 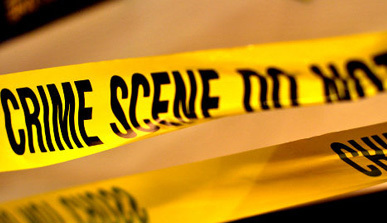 Have you ever been closely involved with an incidence of a crime like homicide or even a death, particularly when it has occurred in your car, apartment or office? If you have, you'll know the kind of emotional stress that the family members and other people go through, especially if they have to clean up the area after the traumatic event. Add to this the health hazards that are posed by contaminants and contagions that can thrive in close proximity to exposed human body fluid and blood. 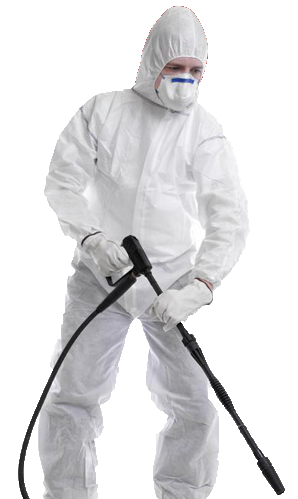 In this situation, what you require is professional and specialized attention for cleaning up the affected area. CleanScene Biorecovery Services not just cleans, but sanitizes homes, offices, shops, apartments, cars and other areas where a traumatic “scene” has occurred. We remove all traces of potentially hazardous body fluids and blood (BSI- Body Substance Isolation) and remove the risk to the health of the family members and other people living in close vicinity to the scene. 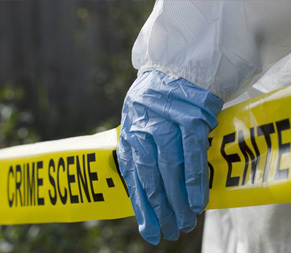 Trust on us to provide you with timely and specialized attention to eliminate potential health hazards that lurk in the aftermath of a crime or trauma scene. 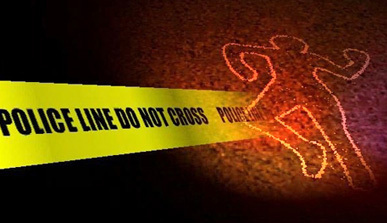 Our objective is to quietly and discreetly disinfect the crime scene (i.e. residence, etc.) and restore it to a safe state, one that is again fit for human habitation. This relieves the family members, office colleagues, and other people of the emotional stress and trauma that they may have to face when cleaning up the area. All our technicians are trained and certified by the American Bio-Recovery Association (ABRA), and the National Institute of Decontamination Specialists (NIDS). ABRA is an association assures that the highest standards of competence and efficiency are maintained when it comes to training and evaluation of people involved in the Bio-recovery industry. ABRA was founded in the year 1996 and since then, has been setting the industry benchmark for Specialized Biological Hazard Remediation. We are the only ABRA certified company in Central Ohio and our technicians are among the few technicians in the country that have had ABRA training. We use only Environmental Protection Agency (EPA) registered chemicals and follow Occupational Safety and Health Administration (OSHA) guidelines, apart from local and state level regulations. Regulated medical waste refers to refuse collected in hospitals, trauma scenes, medical settings, or any place where biohazardous materials are generated that may contain blood-borne pathogens, which could cause infections to people around the epicenter of the contamination. This includes blood/urine samples, dressing material, human or animal waste,sharps like needles, syringes, scalpels and pathological material/waste. We provide proper containers, leak-proof bio-hazard lining bags, and upon your call, it is then picked up from your location and transported to an approved incinerator for disposal. MRSA is a bacterium that thrives in moist and humid climate and is known to cause skin and other infections in places infected by it. Places that can get affected by an outbreak of this infection are locker rooms, gyms, schools and other community sites. We use disinfectants to clean and sanitize the areas, including, all nooks and crannies and other crevices that may host these bacteria to prevent further outbreak of the infection. Mold/Mildew is a type of fungus that affects walls, wood and other material that have prolonged exposure to a moist and humid climate. They pose a risk to your respiratory health, as they are known to cause respiratory ailments like asthma. We use EPA-registered chemicals to clean and sanitize the affected area. We are located in Columbus, Ohio. Contact us today by filling in our online form or calling us for a free consultation or quote, if you feel that you need any of the above services. "After my father took his life with a shotgun, my family didn’t know WHERE to turn. We especially didn’t want my mother to see “the remainder” of the event, so we called CleanScene who responded immediately. They developed a plan where they would take care of my dad’s home while we were making funeral arrangements. Once we came back to my dads house, we could not even tell that something so traumatic had occurred. THANK YOU…THANK YOU, THANK YOU for helping us out in our time of need." "for almost 8 years we have relied on CleanScene BioRecovery Services expert knowledge to handle the eventual unfound deaths we have had, as well as our Mold issues. Their response time, their billing and pricing, and their overall reliability have been absolutely great for our organization. In fact, we regularly invite Wes Ingram to provide seminars to our 50+ maintenance employees to keep them abreast on changes and updates. Experts and Professionals are just a few adjectives to describe their important work for us." "my 88 year old father was living alone and living as a horrific hoarder for years. When I visited him in 2015, I was “shocked” at the mess he lived in. With my needing to return to my students in California, I enlisted CleanScene’s assistance is developing a plan to (1) help my father to pick out the items he had to keep, and those to destroy; (2) help me make sure that his home was back to a thoroughly livable “healthy state”. When I was able to fly back to Columbus three weeks later, I was simply amazed. It was the difference between night (before) and day (after), and in fact, the home looked as it did decades before. It was the very first time that I can truly say: “I was very happy to write their check”.